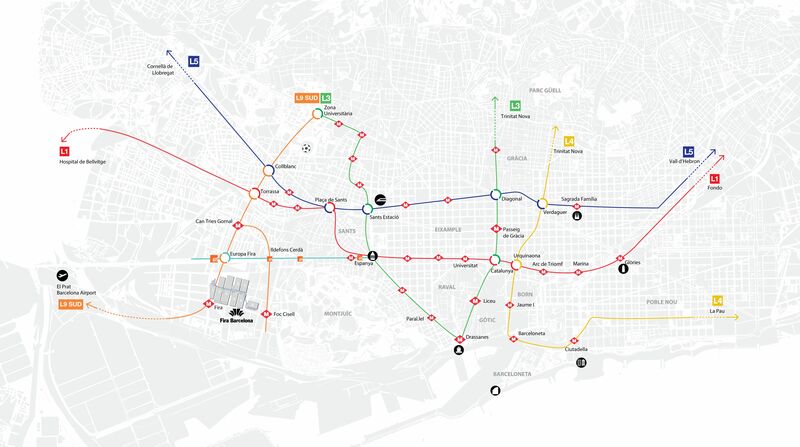 The “Fira” and “Europa/Fira” stations on Metro line 9 connect the Fira Gran Via Venue directly with both terminals of Barcelona Airport, and with all areas of the city of Barcelona. The metro operates daily between 5 am and midnight and an uninterrupted service is available at weekends. The “Europa/Fira” station of the Generalitat Railway Network connects the Fira Gran Via Venue with the city centre, as well as with other surrounding cities. All the trains on lines S8, S33, R6, R5 and S4 stop at the “Europa/Fira” station. *The integrated pricing system lets you combine all forms of public transport including the regional train service in just one ticket. Barcelona and its metropolitan area have more than 10,500 taxis that are easily identifiable by their yellow and black color. 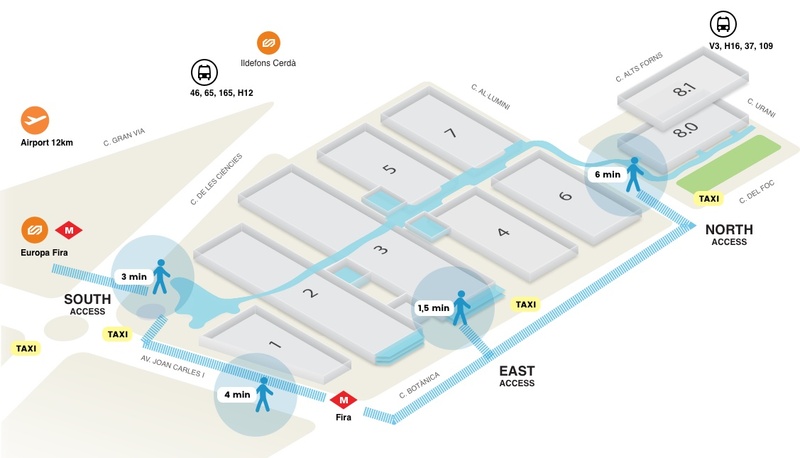 The Fira Barcelona venues have taxi stops enabled to facilitate the arrival and departure of visitors. All taxis have a green light to indicate their availability, a taximeter visible with the amount to be paid and credit card collection systems. The approximate price of a trip can be consulted through the official app, “AMB Taxi Barcelona”. Find more information on Official rates, filling complaints or police reports, lost objects and adapted or special taxis. The venue is connected to the main motorways and roads accessing Barcelona: AP-7, AP-2, A-2, C-16, C-58, C-31, C-32, C-33. Several buses stop in the vicinity of Fira Gran Via Venue. The main routes are: H12, V1, 79, 65, 46, V3 and H16. Use your pass to get discounts at the best hotels in town. Enjoy a 10% discount with Iberia, 35% with Renfe, and 50% with Acciona Trasmediterranea. Whether you’re a visitor or exhibitor, get access codes for use during your trip. With your Barcelona Travel Card you can travel around the city at the best guaranteed price. 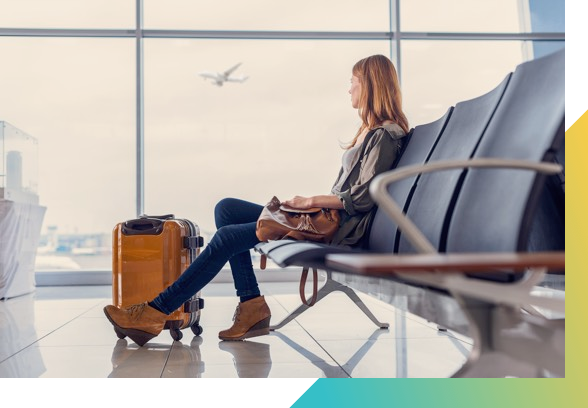 Your return trip to the airport is included. 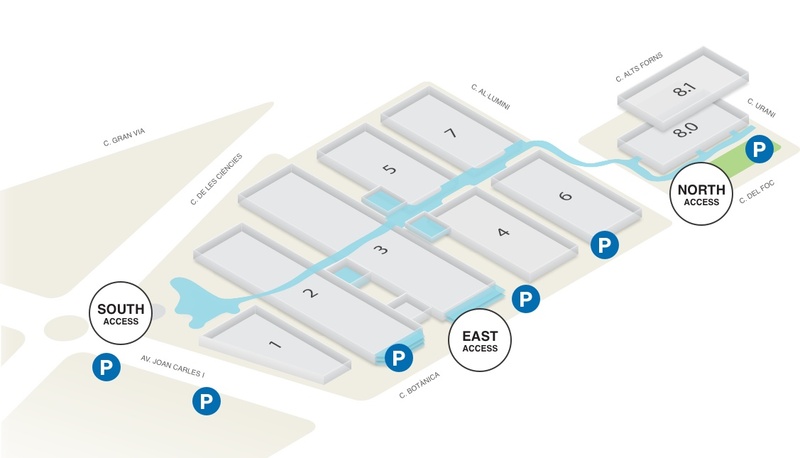 Remember: You need to have purchased your pass to access the Visitor Area. Use the password that you created when you registered and begin a new session.